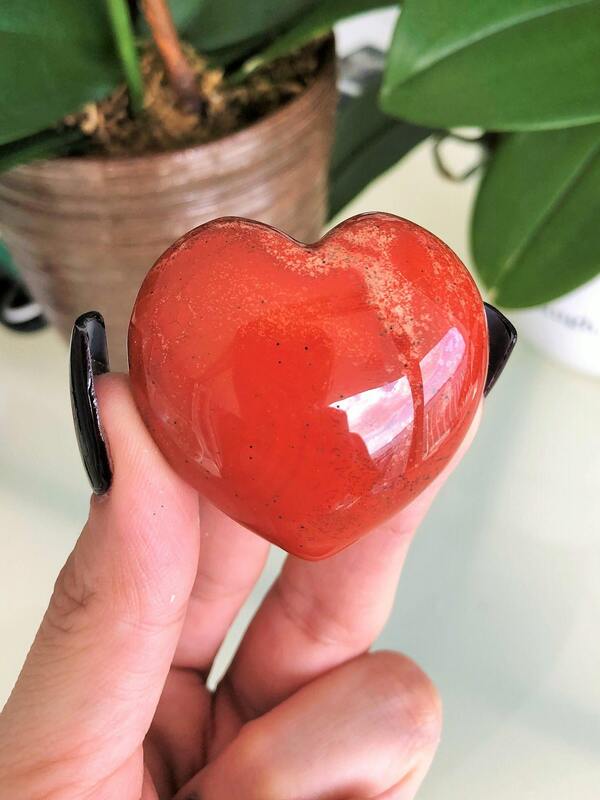 Receive this Red Mookaite crystal heart which has swirls throughout the heart. 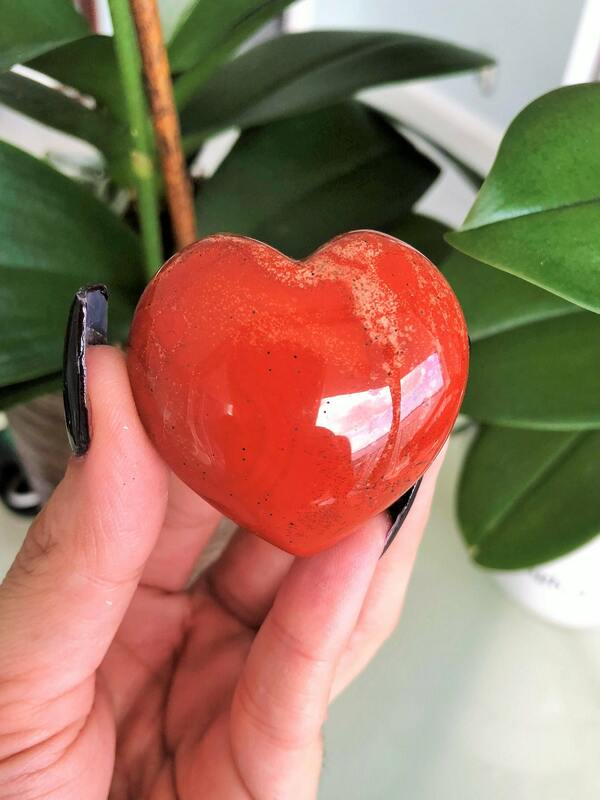 Mookaite stones carry an invigorating frequency of strength and vitality, and increases Life Force within the physical body. Pink Mookaite stones carry an invigorating frequency of strength and vitality, and increases Life Force within the physical body. 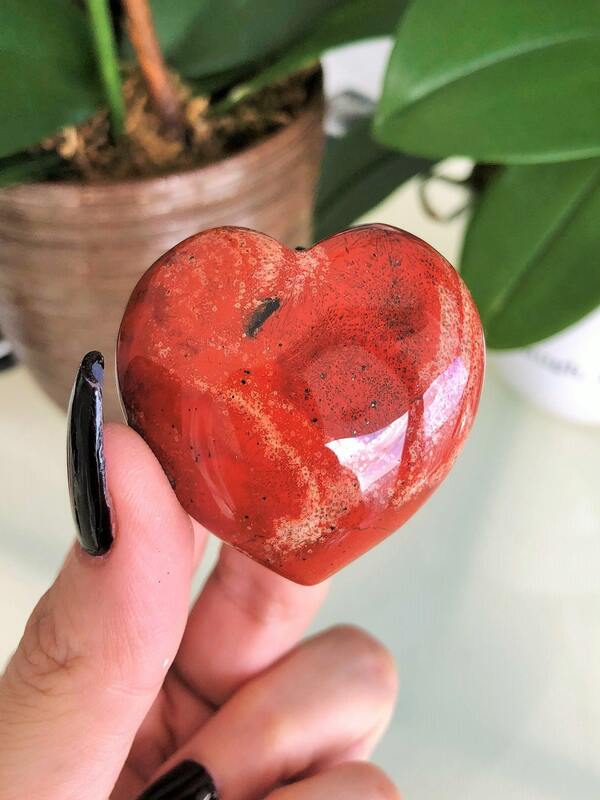 Listing is for 1 (SAME) crystal heart seen in the pictures.